DESCRIPTION - This screen pack created by DrePhantom has many M.U.G.E.N fans. The screen pack has a lot basic sprites made by Drephantom, including its own life bars. 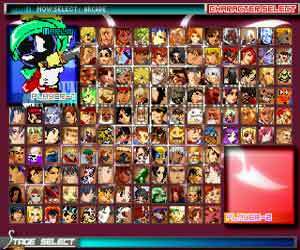 After the screenpack became well known, WinMUGEN Plus came to the scene and Drephantom made a hi-res patch, naming it Mugen All Characters Battle Zero Remix.